The tables were turned on Vice Ganda when he had Bea Alonzo and Charo Santos-Concio as guests on his late-night talk show Gandang Gabi Vice. The two stars of the horror film Eerie appeared as a guest on Vice Ganda's show in order to promote their Star Cinema movie. During the March 31, 2019, episode of Gandang Gabi Vice, there were plenty of laugh-out-loud moments as the three ABS-CBN stars joked with each other. 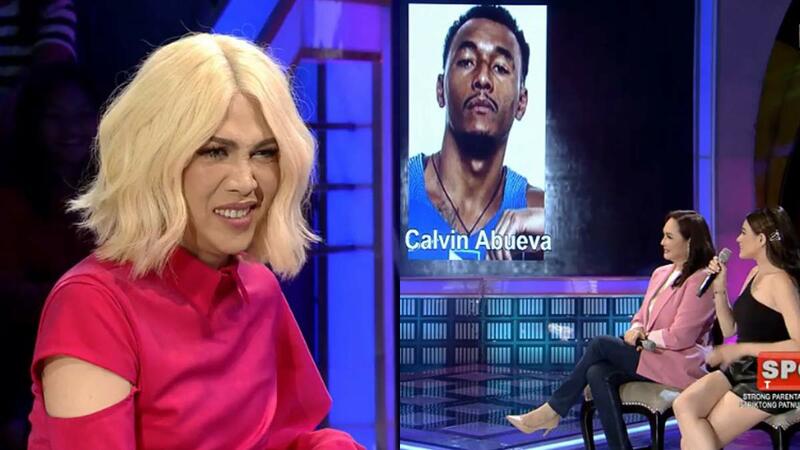 In the "Tanong Mo, Mukha Mo" segment of GGV, the TV host was lost for words when the photo of his rumored ex-boyfriend Calvin Abueva suddenly appeared onscreen. "Nagulat ako dito. After all this time..."
"Hindi naman siya kilala ni Ma'am Charo," said Vice Ganda about the basketball player. The ABS-CBN executive pointed out: "Kilala ko naman siya. Do not underestimate me." Charo then posed a question for the basketball player: "Calvin, may chance pa ba?" Vice Ganda scrunched up his nose upon hearing her question. She continued her question: "May chance pa ba mabigyan ng jersey mo?" The GGV host said: "Mabait po 'yan. Itatawag ko po sa kanya 'yang jersey." "Pero bakit yung reaction mo noong sinabi ko, hindi ka ngumiti, e," observed Charo about the It's Showtime host. At that point, Vice Ganda blurted an expletive that was bleeped out of the episode. The comedian apologized for his outburst by saying, "Sorry po, kumulo yung sikmura ko, na-stress ako. Dinis-pepsia ako ng bongga." Vice Ganda quipped that he was so scared after watching the trailer of the movie Eerie that he doesn't want to watch the movie. Charo widened her eyes upon hearing this, causing Vice Ganda to promise that he will sponsor a block screening for Eerie. While trying to crack her joke, Bea Alonzo fumbled as she said, "Nagsabi kasi si Vice..."
Vice Ganda taunted Bea by saying, "Ang ganda mo, tumulo ang sipon mo! "Sabi sa inyo, hindi perfect ito, e!" The comedian turned to Charo and said, "Napakasalaula ng talent mo!" Bea put Vice Ganda in the hot seat when she joked about her and other Kapamilya stars being treated harshly when they appear on Gandang Gabi Vice. She confided to Charo, "Ang hirap nga pong mag-guest dito. "Ito na po ang pinaka-ayokong part ng promo, sa totoo lang." Bea pretended to break down in tears as she said, "Kasi lagi pong nayuyurakan ang pagkatao ko." Charo asked in an alarmed tone: "Bakit naman ganun ang ginagawa mo sa mga bisita mo?" Vice Ganda insisted, "Hindi po totoo yun, Ma'am." Bea said, "Gusto ko lang naman po mag-promote ng pelikula para kumita." Vice Ganda called Bea as "napakasalbaheng babae" for doing this to him. Charo said in an angry tone: "Gusto mong masampolan? "Kasi dati, kapag magka-cancel ng programa, ako talaga ang kumakausap sa mga talents." Bea then asked about Vice Ganda's situation: "Malapit-lapit na po ba [ma-cancel]?" Charo pointed out, "Kung ganyan niya tinatrato ang mga talents..."
Vice Ganda jokingly threatened Bea, "Susulat ako sa MMK [Maalaala Mo Kaya], bababuyin ko buhay mo dun. Sasabihin ko dun, nagkaroon ako ng jowa, ang pangalan Gerald Anderson. 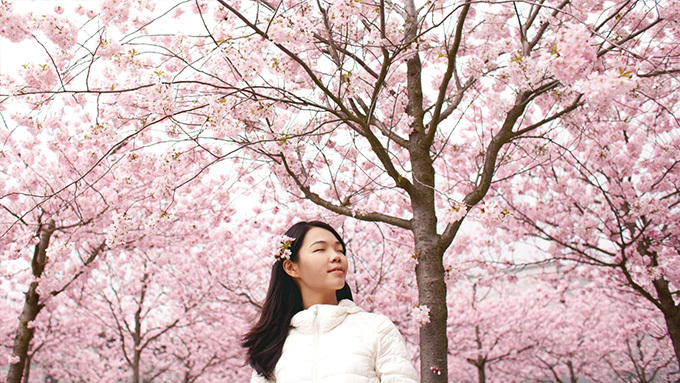 "Tapos sasabihin ko naghiwalay kami kasi na in love siya sa...Alam ko ang buhay mo."